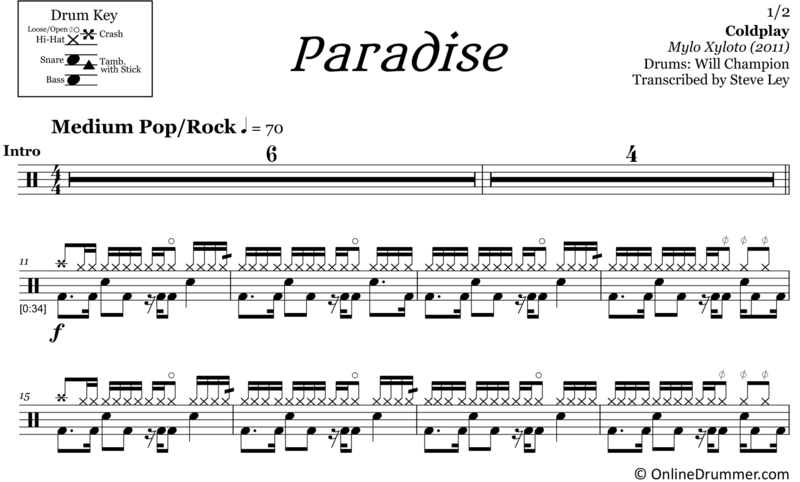 The full drum sheet music for “Paradise” by Coldplay from the album Mylo Xyloto (2011). The full drum sheet music for "A Sky Full of Stars" by Coldplay from the album Ghost Stories (2014). The full drum sheet music for "In My Place" by Coldplay from the album A Rush of Blood to the Head (2002). 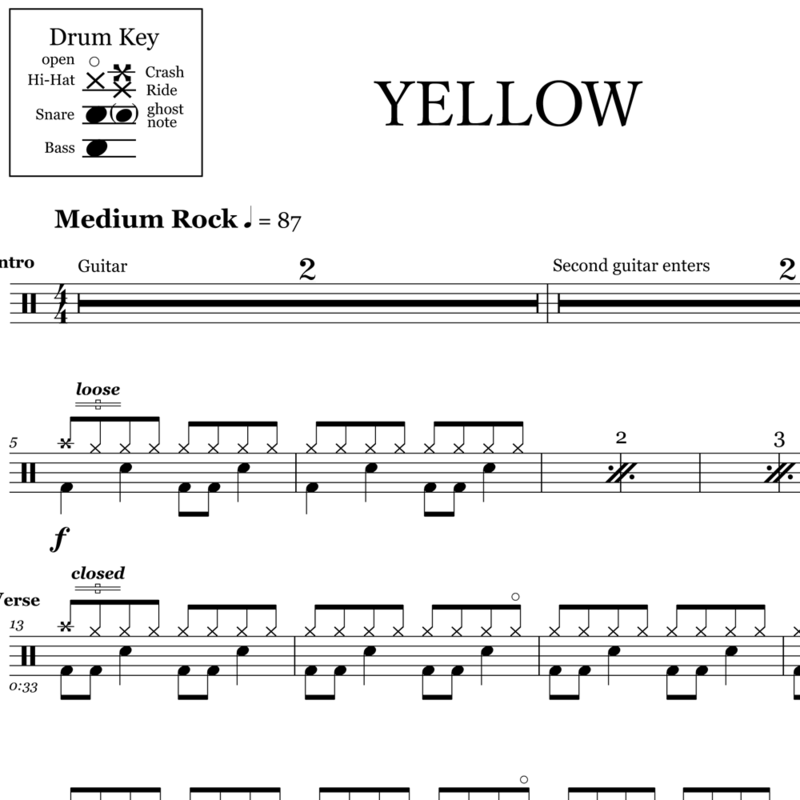 The full drum sheet music for "Yellow" by Coldplay from the album Parachutes (2000). The full drum sheet music for "Adventure of a Lifetime" by Coldplay from the album A Full of Dreams (2015). Nate Brown teaches, measure-by-measure, how to play "Adventure of a Lifetime" by Coldplay. The full drum sheet music for "Charlie Brown" by Coldplay from the album Mylo Xyloto (2011). The full drum sheet music for "Clocks" by Coldplay from the album A Rush of Blood to the Head (2002).